For the past few years, Chromebooks have been relatively limited. Now, as Google has worked to expand the functionality of its internet-based laptops, manufacturers have done their part to offer more variety too. The Toshiba Chromebook 13 is an example of that. Toshiba was among the first PC makers to offer a larger-sized 13-inch Chromebook, and this year it’s refreshed that model with a slimmer, more attractive design. If you’re not familiar with Chromebooks, there are a few important things you should know. A Chromebook looks like a standard laptop, but it’s not. Instead of running Windows, Mac OSX, or Linux, it runs Google’s own operating system called Chrome OS. Chromebooks are designed to be used while connected to the internet, and can’t do too much otherwise. So, if you typically use your laptop to browse the web and use services like Google Drive and Gmail often, a Chromebook may be a good fit for you. But if you use a lot of desktop software, such as iTunes, Photoshop, and any other service you can’t get on the web, you might want to stick with a traditional laptop. I’ve spent a week with Toshiba’s new Chromebook, and it’s one of the best I’ve used yet. Here’s what I came away with. Toshiba’s new Chromebook 2 comes with a 13.3-inch display, and it’s available in two resolutions: 1366 x 768 and 1920 x 1080. Our review unit featured the latter, which costs $US349, while the version with a lower-resolution display is priced at $US249. Since Chromebooks aren’t designed to handle heavy computing tasks, they can get by with Intel’s entry-level line of Celeron processors. These chips are made to take on simple tasks such as browsing the internet, answering emails, and creating documents. Toshiba’s new Chromebook runs on one of these Intel Celeron processors. 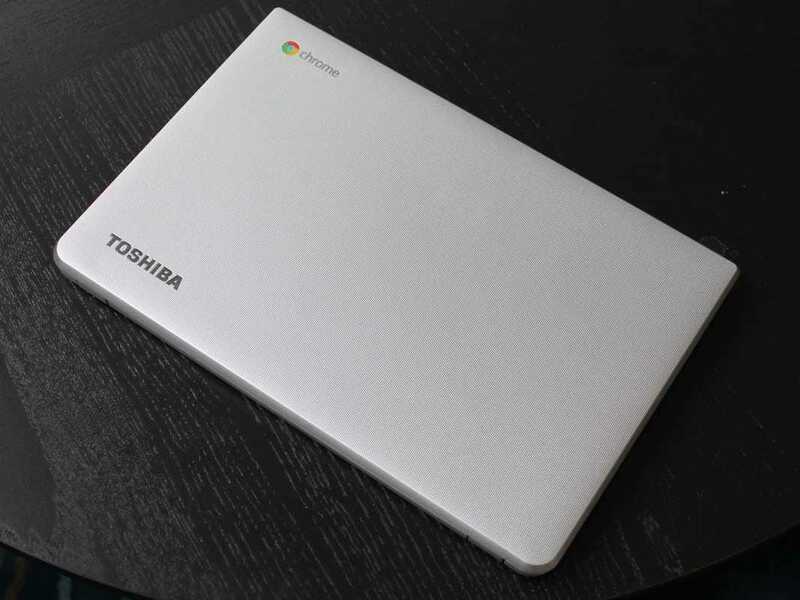 The Toshiba Chromebook 2 comes with 16GB of storage packed into a solid state drive, and since it’s a Chromebook you also get 100GB of cloud storage in Google Drive for two years. Lisa EadiciccoThe Toshiba Chrombook 2’s lid has a coarse texture. The lid and underside of Toshiba’s new Chromebook are encased in a somewhat coarse, textured material. It’s not exactly the sexiest finish, but I’m confident I can throw this thing in my bag and it won’t get scratched or dirty. The inside of the Chromebook is much more polished, with a smooth finish that looks like brushed metal and a black backlit keyboard. The edges are ever so slightly tapered in a teardrop shape, faintly resembling the razor thin design of Apple’s MacBook Air. Toshiba’s Chromebook is nowhere near as thin and light as Apple’s ultra-thin laptop, but it also costs a fraction of the price. The important thing: it is definitely light enough to schlep around and use in your lap. 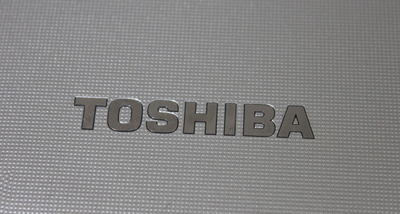 The Toshiba Chromebook 2 is perfectly suitable as a personal computer for casual users. I’ve been using it as my home PC for the past two weeks, and it was exactly what I needed for checking email, streaming Spotify, looking at my Facebook feed, and doing some light work. The Chromebook boots up extremely fast, so it was easy to get some work done, shut it down, and pick up where I left off later on. The Chromebook 2’s screen is also incredibly gorgeous and detailed, making it enjoyable to watch Netflix, look at photos, and read text. The speakers, however, left a little something to be desired. Toshiba partnered with Skullcandy on the speakers in its new Chromebook, but when blasting music the sound came through a bit shallow and weak. It almost sounded as if I was playing music through a smartphone or tablet rather than a laptop. Toshiba’s new Chromebook lasts a long time on a single charge, too. When using the device sparingly to check email here and there after work, I was able to get a solid 4-5 days out of it. If you’re using the Chromebook as your everyday work device, or plan to use it in long sessions, you’ll probably get about seven hours or so out of it. The Chromebook 2 worked wonderfully as a personal laptop, but there are a few reasons I don’t think I could get by using it as a full-fledged work computer. For one, the keyboard just isn’t as sturdy as what you would get with a desktop computer or premium laptop. It gets the job done, but the keys feel shallow which doesn’t make it ideal for typing really long research papers or articles. Plus, the Google Chrome ecosystem still doesn’t provide for every computing need that comes up in my typical workday. It is completely capable of handling maybe about 85% of all the things I do on a regular basis. But sometimes I need more advanced photo editing software than what Chrome has to offer so far, for example. That being said, Google is doing its part to make sure its super-cheap laptops come as close as possible to providing a full PC experience. Google’s Chrome app store offers a bunch of apps that work offline too, and it keeps adding more. You can also enable apps like Google Drive to work offline, so you can continue to edit and create documents and spreadsheets without an internet connection. 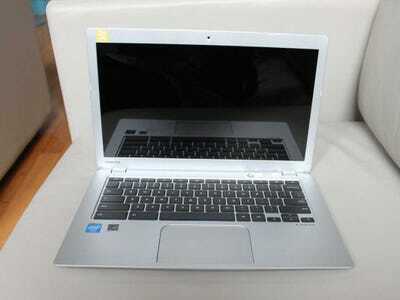 Is This The Chromebook To Buy? Toshiba’s new Chromebook 2 is among the best Chromebooks I’ve used. It has a beautiful screen, great battery life, and it’s comfortable to use in your lap. That’s not to say it’s perfect (the sound could be better), but it’s definitely worth the price. 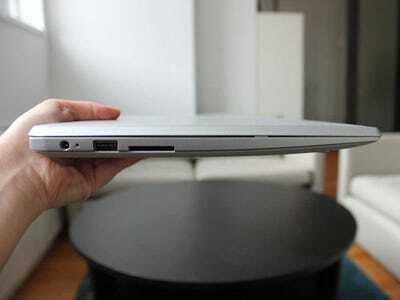 It’s also a bit cheaper than Samsung’s 13-inch Chromebook 2, which starts at $US499 for similar specifications. I would definitely recommend the Toshiba Chromebook 2 if you’re looking for a 13-inch Chromebook. But if you want something a bit smaller and lighter, check out Acer’s C720 Chromebook (Acer offers 13-inch Chromebooks too) or Samsung’s new Chromebook 2.